With more than 400 000 units sold since its introduction 5 years ago, the Macan has become one of Porsche's most important models. On the face of it, the Zuffenhausen-based brand's mid-life refresh is subtle, but remember, a number of small incremental gains can add up to a significant overall improvement when they're added together. 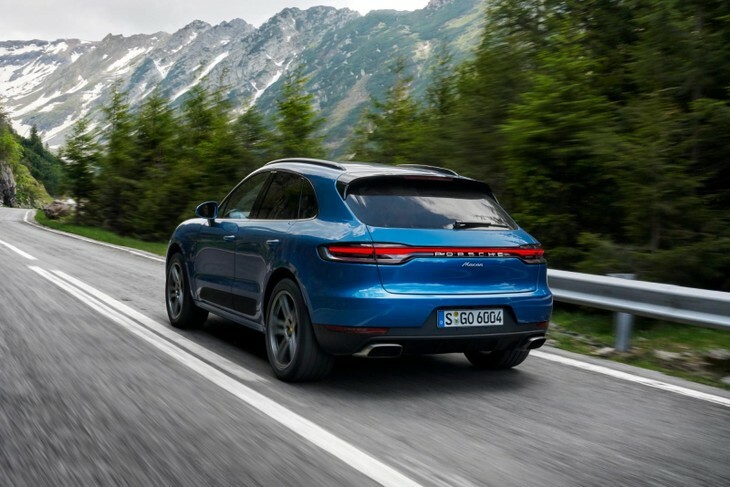 It's quite easy to "belittle" the Macan as Porsche's interpretation of (let's say) sibling brand Audi's Q5 executive SUV, but that would be a wholly unfair assertion. It would also be – as our spirited drive in the newcomer on some of the best roads in South Africa illustrated – an inaccurate assumption. 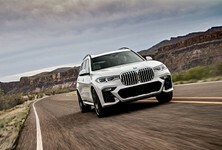 The Macan has always been tasked with being the most dynamic and sporting vehicle in its segment, but this is increasingly a tough call given the arrival of performance derivatives of the BMW X3/X4 and Mercedes-Benz GLC, to name just a couple of examples. So, much of the focus with this "facelift" has been on introducing tweaks that would create a bigger gap between the Porsche and its (would-be) competitors. 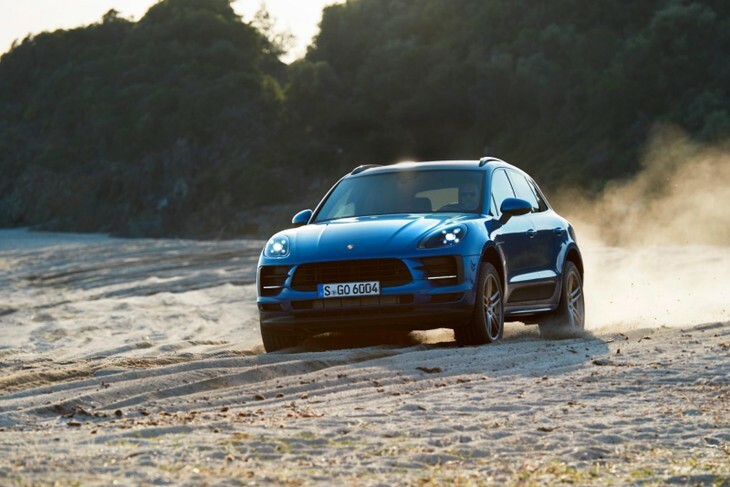 It's good to see that Porsche prioritises driving experience even for its "entry-level" SUV and, to be clear, it remains a defining characteristic of the Macan, but let's be honest here; very few owners are likely to drive their luxury crossovers at breakneck speed across mountain passes just for the thrill of it. 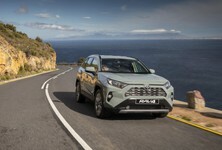 I suspect that most would-be Macan buyers will find the revised vehicle's updated design, enhanced standard features list, greater personalisation options and much-improved connectivity the real highlights of this revision. New headlamps and revised front bumper/air intakes combine to give the Macan greater visual impact. The design changes that feature on the "new" Macan bring this executive crossover into line with other recent introductions from the brand. Arguably the most obvious change is the new LED tail-light panel that stretches the width of the car. At the front, there is also a greater emphasis on creating the perception of width, with the more vertically emphasised side intakes playing a major role in achieving that goal. The headlamps are also significantly revised. 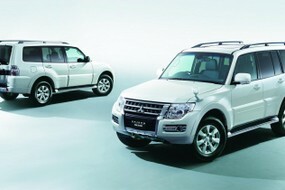 LED headlamps with those characteristic four LED dots (daytime running lamps) are standard. You can also optionally specify PDLS (Porsche Dynamic Light System) that can automatically switch between main and dipped beams, among other things, and then there's also PDLS Plus that dynamically adjusts the main beam range. 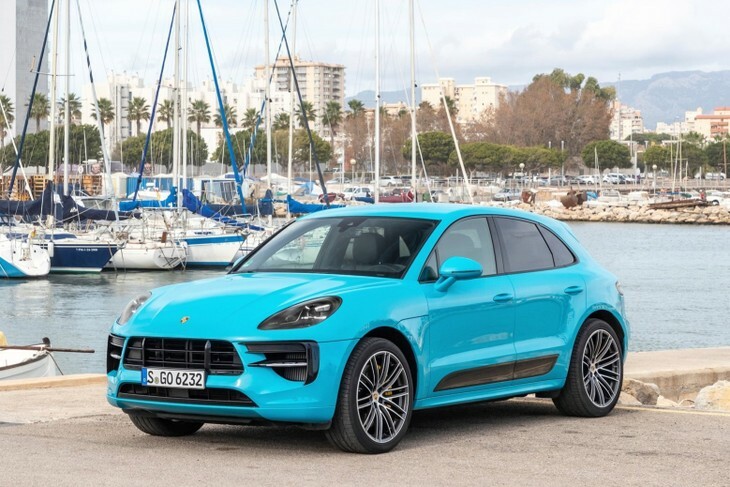 Porsche has introduced 4 new colours for the Macan, with the vibrant Miami Blue that's shown in most press material (main image of this article) being a definite head turner. You can also now choose from 5 different colours for your "switchblades", which is what Porsche calls the plastic inserts running along the lower half of the doors. Finally, there are a number of new wheel designs on offer, in sizes ranging from 18 to 21 inches. The vehicles available for our launch drives were quite conservatively specified in terms of colours and rim choices, but nevertheless managed to turn heads. Play around with Porsche's online configurator and you be quite surprised just how cool you can make the "baby" Porsche SUV look. The fascia is dominated by the new 10.9-inch display screen and note the revised ventilation outlet positioning. 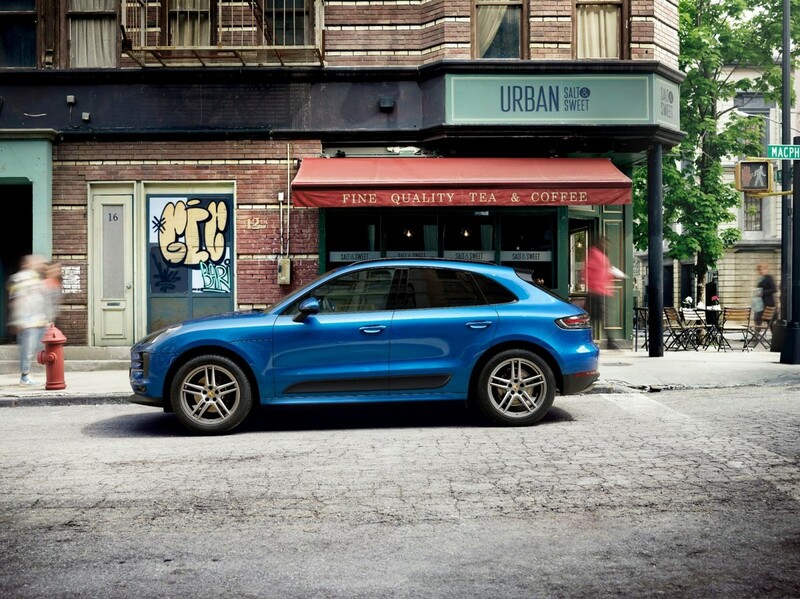 Given the younger owner profile of the Macan, a thoroughly up-to-date cabin with all the latest tech was a must-have. Porsche even had to shuffle some architecture around to accommodate the impressive (and standard) new 10.9 inch PCM infotainment screen. 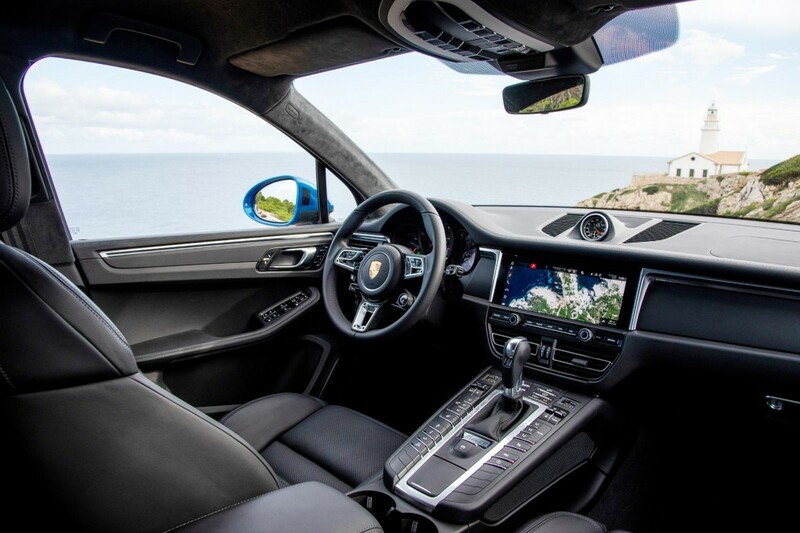 The previous Macan featured vertical ventilation outlets flanking the infotainment system, but given the size of the new screen, those vents had to move. They're housed beneath the screen now, neatly integrated into the fascia. Connect Plus is standard in the new Macan, giving drivers access to a number of Internet-based services. Also included are Apple CarPlay and voice control, the latter not only for navigation inputs but also for music and some vehicle functions. 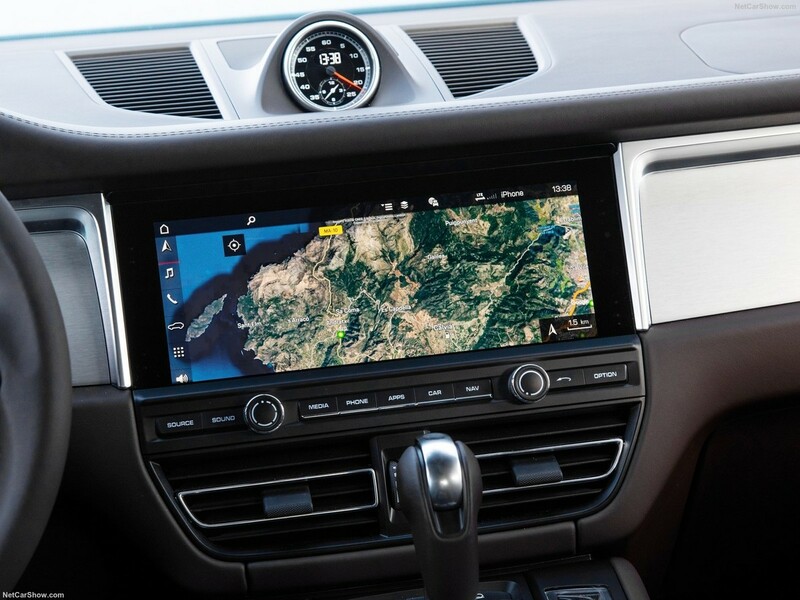 Interestingly, while the new infotainment system lends the Macan interior a very modern look, the transmission tunnel still features a multitude of physical buttons – a hint at the car's age within a Porsche line-up that is being updated very quickly. Personally, I like the sense of precision that pressing these buttons give. 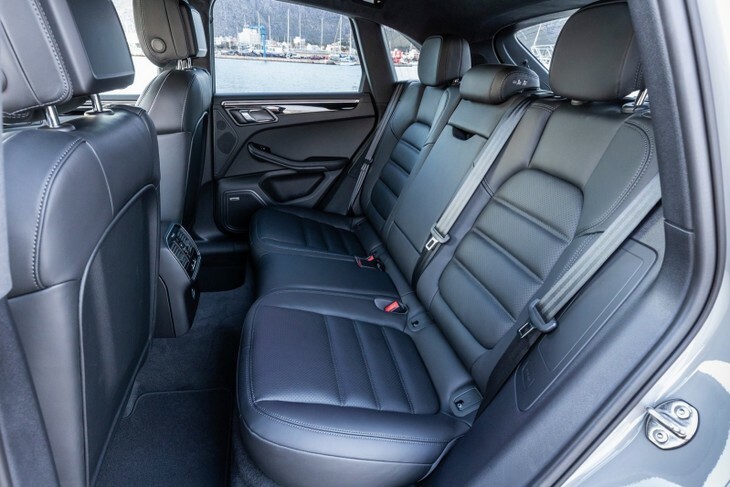 In fact, it's worth highlighting the overall feeling of solidity in the Macan's cabin. You're always reminded that you're behind the steering wheel of something substantial. Rear legroom is decent, provided those seated in the front are not too tall. 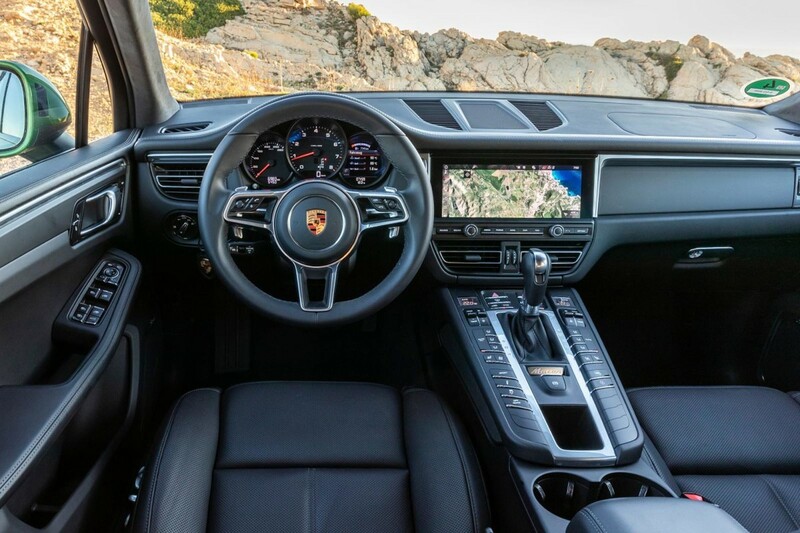 The driving position is spot-on with the steering wheel offering a wide range of adjustability (Porsche is now offering the 911's GT sports steering wheel on the Macan, as an option). Many years ago a designer at Audi told me that one of the best ways to create the sense of being in a very performance-vehicle is to have a high transmission tunnel – and the Macan certainly has that. And yet, despite this focus on creating a very sporting driving environment, the Macan's cabin is not impractical. 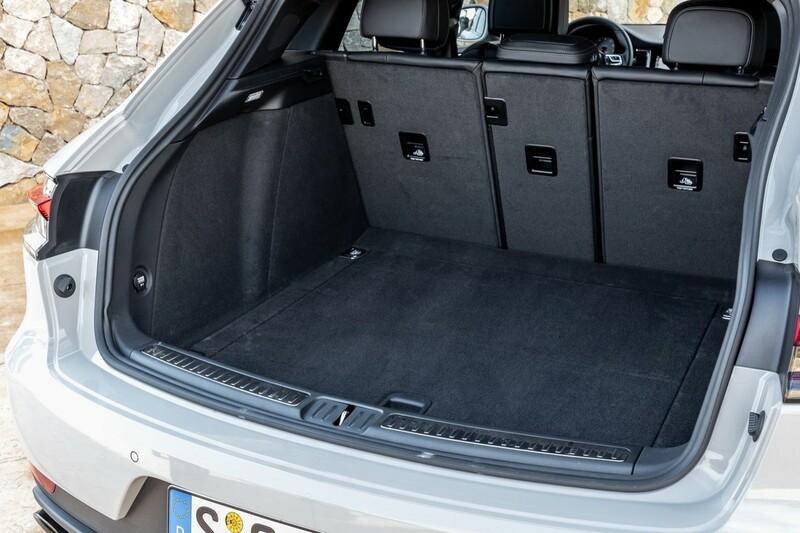 The load bay is of a very decent size, in fact, and rear legroom is certainly acceptable provided those in front are not too tall. The Macan has a lower centre of gravity than most other crossovers/SUVs, assisting it in delivering class-best handling. At launch Porsche is offering 2 derivatives. 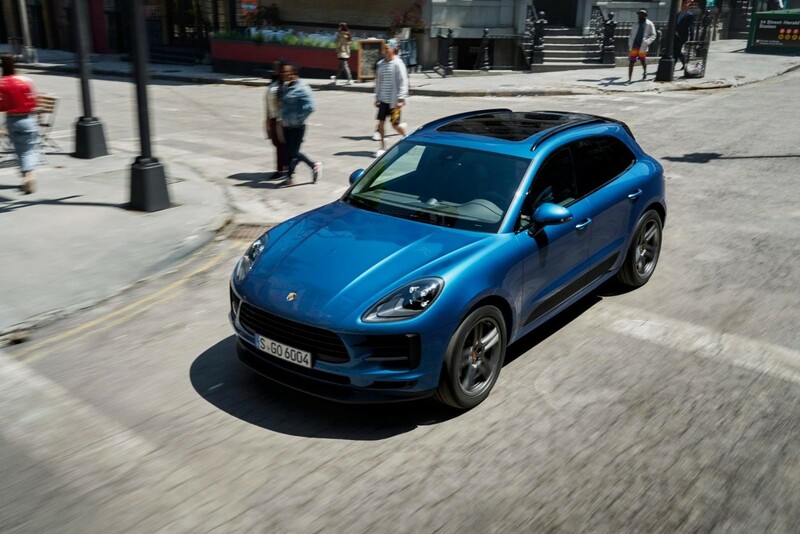 The base Macan is powered by an enhanced turbocharged 2.0-litre 4-cylinder engine that delivers 180 kW and 370 Nm of torque. The "S" gets a new twin-scroll turbocharged 3.0-litre V6 that punches out 260 kW and 480 Nm. Both derivatives feature the 7-speed dual-clutch (PDK) transmission and all-wheel drive. 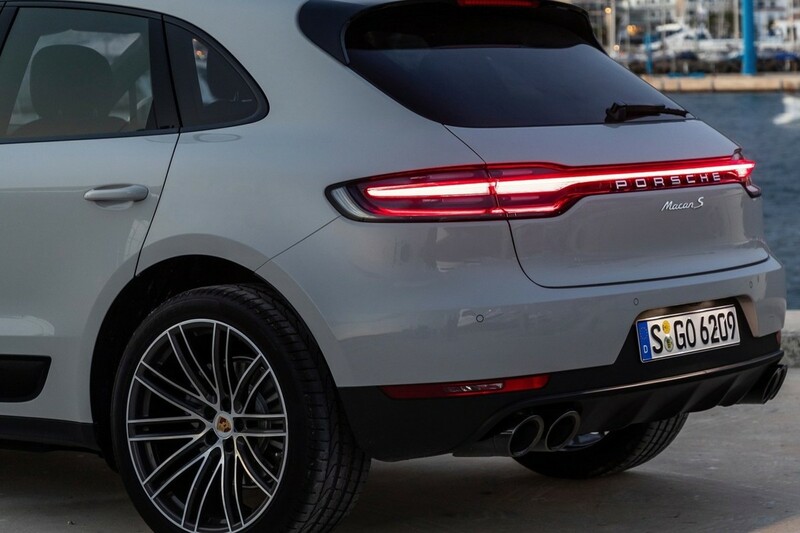 We were given the opportunity to drive the 4-cylinder Macan during the launch event and while we obviously look forward to giving the "S" a drive at a later date, the base version still provides more than adequate performance. Porsche claims a 0-100kph time of 6.7 seconds and a 225-kph top speed. Left to its own devices the 7-speed 'box will try and get to its higher gears as quickly as possible for optimal efficiency (8.1 L/100km claimed), so if you'd like your car to deliver immediate throttle response, then it may be wise to always make sure the transmission is in one of its sportier modes. Of course, you can always shift manually, and the PDK reacts very swiftly to inputs. And the sound? Well, it obviously doesn't emit the kind of note that will please Porsche purists, but there's quite a lot of Vrrr-pah, and that seems to go down well in South Africa anyway, doesn't it? The Macan's boot is surprisingly large given the overall compact appearance of the vehicle. As ever, Porsche's Sport Chrono is a worthwhile optional extra. 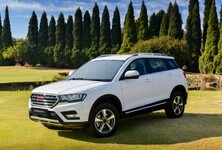 It costs just over R20 000 and allows the driver to better tailor the drivetrain to their specific requirements. In addition to Normal, Sport and Sport Plus driving modes it is also possible to set up your own Individual Mode. The Sport Chrono Package can now also be operated via a mode switch integrated into the steering wheel (as you would on many top-end supercars), and there is a Sport Response button that immediately boosts the responsiveness of the Macan to a maximum for 20 seconds. Sadly we didn't get to drive the "S", but with a 0-100 kph time of 5.1 seconds and a 254-kph top speed, it promises to be thrilling to drive. 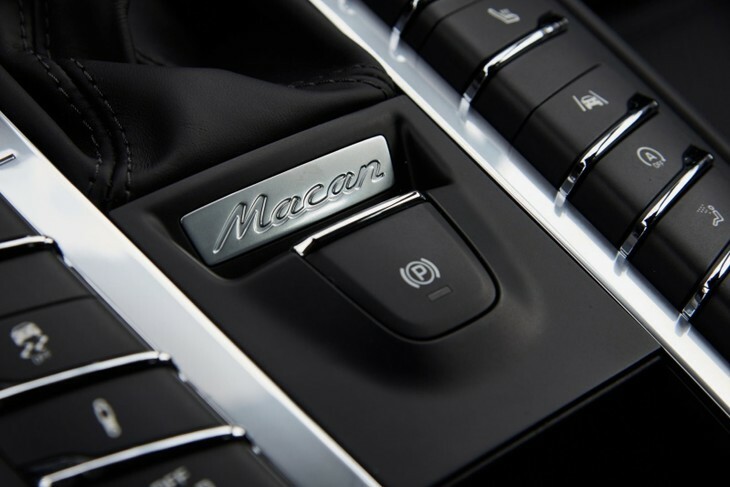 Now offered on the Macan is a steering wheel which incorporates the Sport Chrono mode switch. Terms such as "steering precision", "turn-in behaviour" and "improved lateral dynamics" are not ones you'll often find used as prominently in a press release for a compact executive crossover, but it's very clear that further fine-tuned handling was a high priority for Porsche. No wonder the local importers so confidently directed us to some of the best driving roads in the Western Cape, including several mountain passes. There really is a beautiful precision and directness to the steering that one doesn't often find in vehicles of this type. 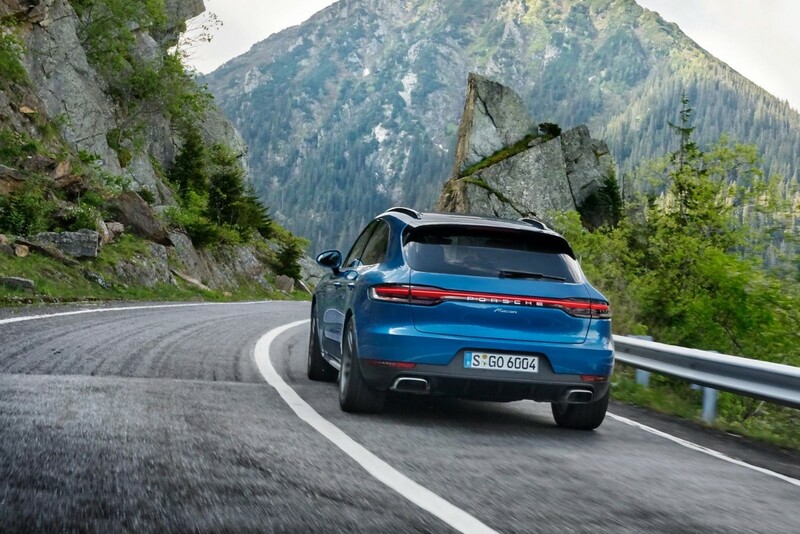 Body roll and jaw movement are impressively controlled in the corners and yet the Macan is not overly stiff when the road surface deteriorates. 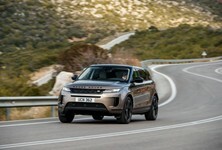 The upshot of its lower centre of gravity (compared with other SUVs) is that the suspension doesn't have to be so stiff to counter roll in the corners, and that's certainly the impression it makes in its more comfortable modes – despite its handling prowess, this remains a comfortable daily driver. With mixed-size tyres, fine-tuned brakes, more rigid engine mountings and other tweaks, the Macan drives like a welll-sorted sports sedan. There has been an awful lot of detail work under the skin. At the front axle, for example, the spring forks are now made of aluminium, not steel. 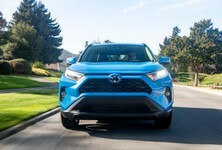 The new design is not only more rigid, which improves the steering precision, but also reduces the unsprung mass of the vehicle by around 1.5 kg. Unique in this segment is the use of mix tyres, ranging from 235/60 R18 to 265/40 R21 on the front axle and between 255/55 R18 and 295/35 R21 on the rear axle. This detail also improves steering precision and turn-in, Porsche claims. If you want to further expand the ranges of dynamism and comfort available, then note that PASM active damper control, height-adjustable air suspension and Porsche Torque Vectoring Plus (PTV Plus) remain optionally available. 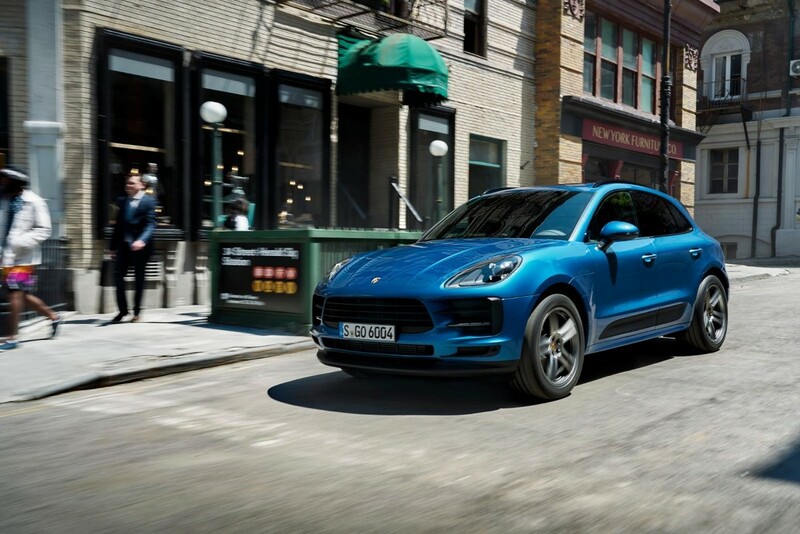 When fitted with the Sport Chrono Package, there is a separately selectable PSM Sport mode that allows drivers to really push the limits of the Macan's abilities, but while PSM keeps a watchful eye in the background. The transmission tunnel still features a vast number of physical buttons. 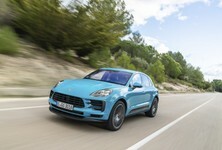 Porsche's fettling also aimed to improve the Macan's braking "feel". It threw out the previous steel brake pedal and replaced it with what it calls an "organic sheet" unit, made of moulded, glass fibre-reinforced thermoplastic sheet material with a plastic rib structure. 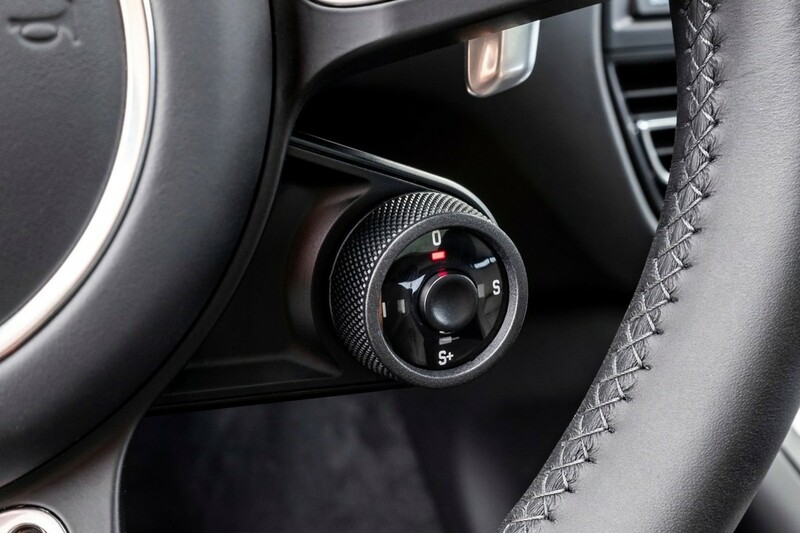 The pedal is only 300g lighter, but Porsche claims that combined with the shortened lever arm, brake response is more immediate and the feel enhanced because there is a very precise pressure point, courtesy of the more rigid connection to the brake master cylinder. On the "S" derivative there are larger front brake discs and it can also be specified with Porsche's PCCB ceramic brake system. Out on the passes around the Western Cape, the Macan (even in entry-level guise) feels more like a sorted sports sedan than an SUV. But arguably it's greatest talent is that it combines its obvious dynamic talents with a comfortable, quiet and luxurious experience away from the twisties. The Macan is an attractively priced sports-SUV, particularly so if you attach significant value to the badge on its nose. But thankfully the Macan doesn't come across as a product of badge-engineering at all. In terms of the cabin's look and feel from the behind the steering the wheel, the way the controls respond to driver inputs and, most importantly, the manner in which it delivers both thrilling dynamics and general comfort, this is a very impressive little machine and worthy of the Porsche badge. It's likely to continue its healthy contribution to the company's bottom line. The Macan sells for R849 000 and the "S" for R1 049 000, both inclusive of the 3-Year DrivePlan.